With most of the show season behind us and the days growing shorter, it's time to look forward to the fall and winter months that will be spent in the garage tinkering on the builds that will roll out on the streets next spring. 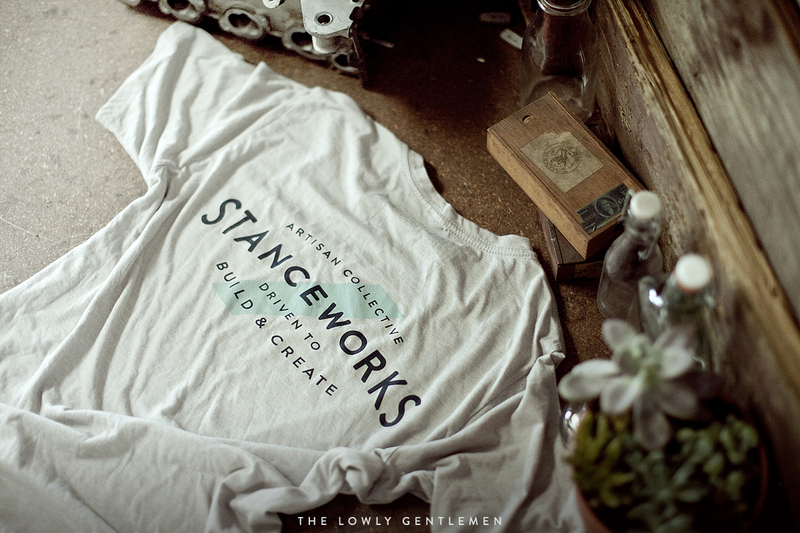 I've been hard at work in the studio working on the most recent run of Lowly Gentlemen gear which I'm pleased to announce is now available. 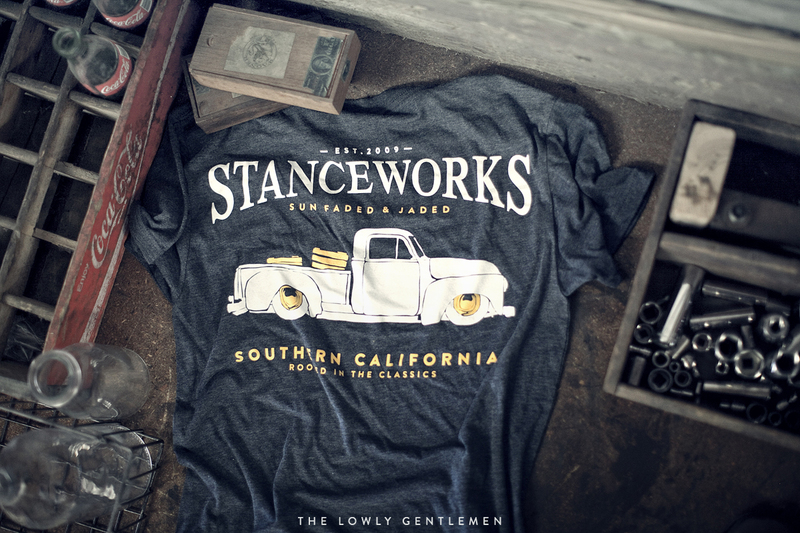 At the forefront of the fall line are 3 new shirt designs in the StanceWorks Lifestyle collection.Each with its own style and aesthetic, the latest StanceWorks shirts cater to the different facets that make up StanceWorks's diverse community of enthusiasts. Perhaps the items I'm most excited to include in the latest line of goods are the new limited edition art prints. My personal background has always been in the fine arts with a heavy interest in drawing and oil painting. While many of my artistic skills are utilized day-to-day at StanceWorks, it felt great to break out my drawing pens and get back to sketching. Each print is stamped with a mark of authenticity, and then signed and numbered by hand. 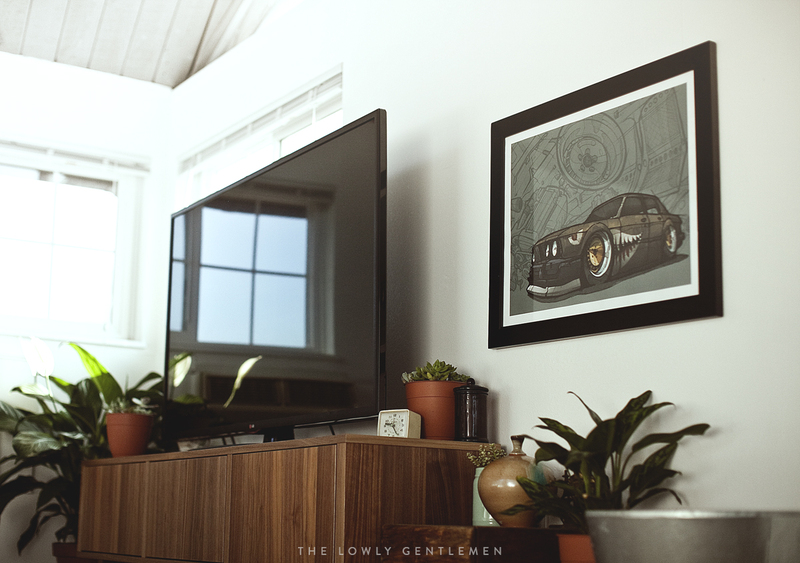 The work has been printed on a high quality 12pt paper stock that measures out to 18" x 24" and it will make the perfect piece to hang on your walls. With only 200 prints of each art piece available, these designs will only be available while supplies last. 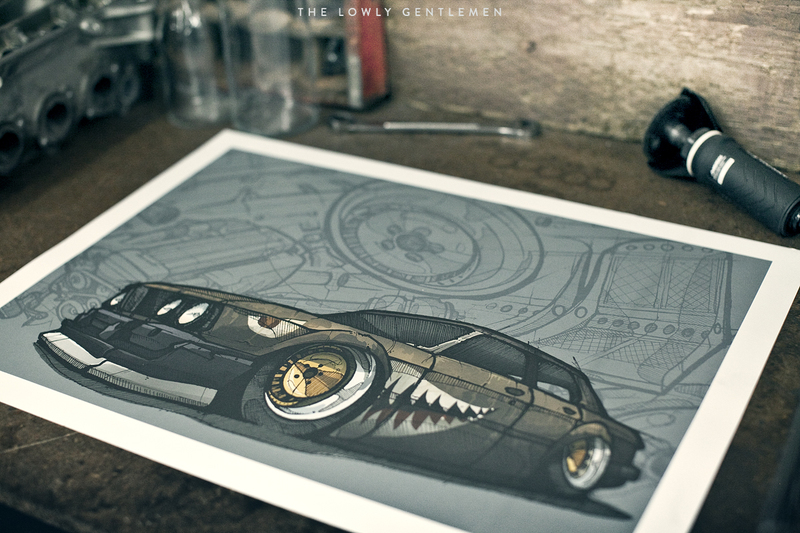 Mike's BMW E28 has been a part of StanceWorks since the very beginning. Standing as an icon of the StanceWorks community, Rusty Slammington has embodied the passion and innovation that form the core values of our company. Until now, we haven't integrated Rusty into our product line, but we felt it was time to celebrate the past stage of the famous rusty BMW that started it all. 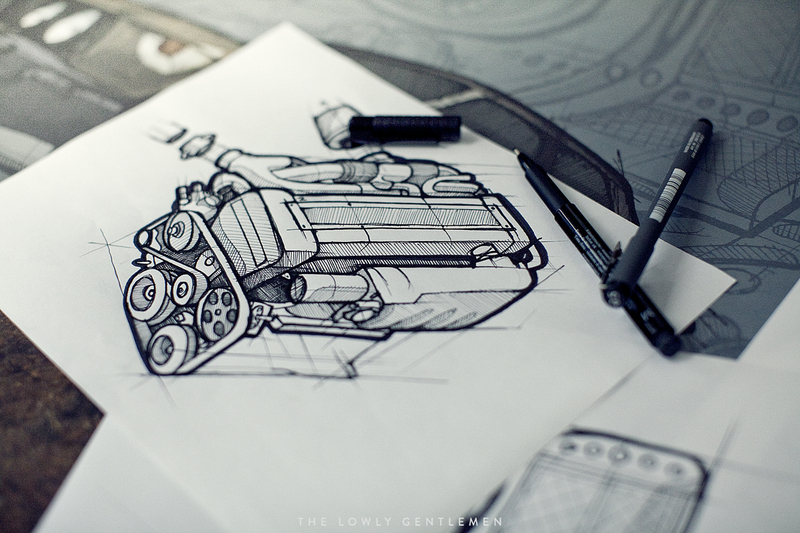 In a raw and unrefined manner that matches Rusty's demeanor, the drawing was roughly sketched out. I sketched many of the trademark additions that made Rusty what he was in his last iteration, from the engine swap to the roof chop, and integrated them into the background. As Mike moves forward and continues to rebuild Rusty, we felt it important to pay tribute to Rusty's last stage before the fire. 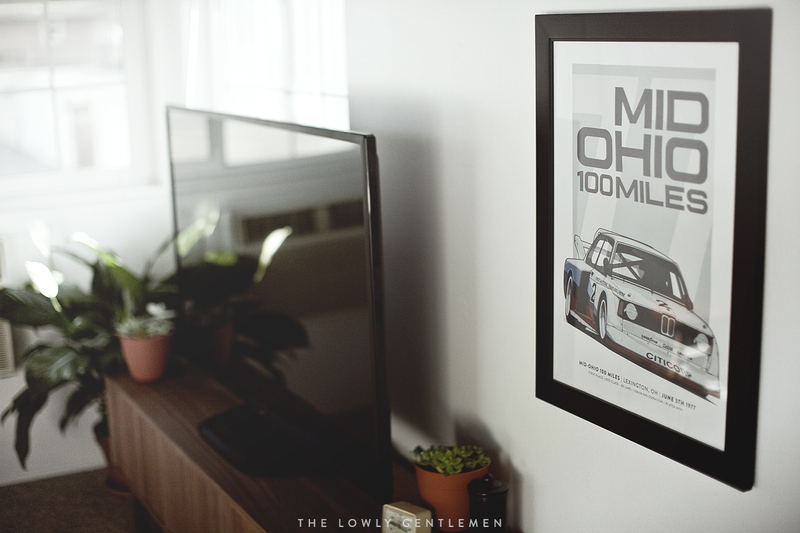 The second art print to be released in this season's lineup marks one of BMW's victories in the IMSA GT Championship. 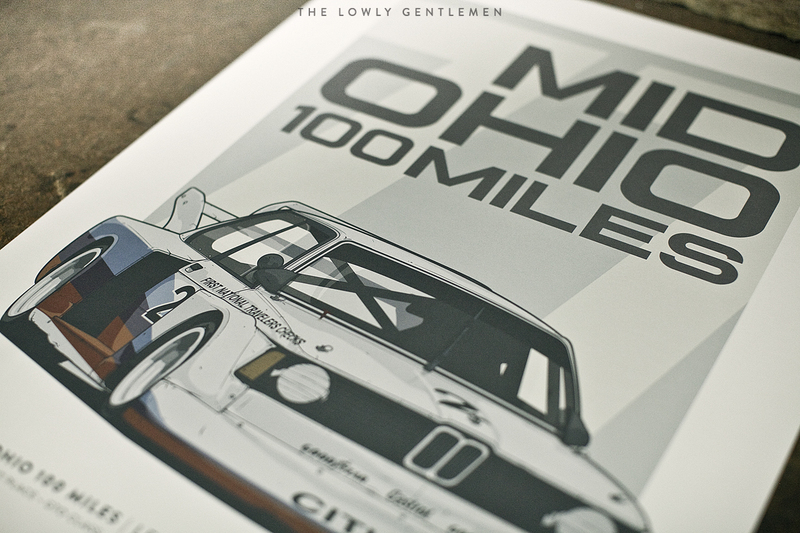 On June 5th, 1977, David Hobbs piloted the BMW 320i Turbo and battled his way to first place around Mid-Ohio. The E21 had so much character with its exaggerated fiberglass aero and fire spitting engine that I tried to embody it with an intricate illustration worn down by the marks of a long fought race season. The subdued color palette offers a great accent for your room's decor and the quality print will look great behind a nice frame. To round out our product offerings, we've added two new sticker designs to our collection. The first was born out of necessity as we worked to design a livery for Amir's Time Attack BMW E36. Inspired by the simple and stark logos that are found on vintage racers from the golden era of racing, the block font and simple colorway evoke an old motorsport feel. The directional design allowed us to use the graphics on each side of Amir's car and still achieve a symmetrical appearance as it went out on track for his next race. 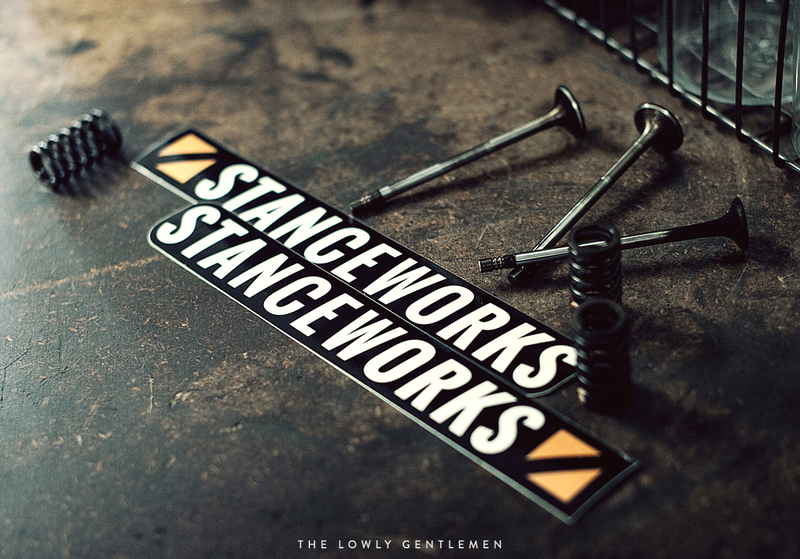 Sold in complimentary pairs, the StanceWorks Rennsport Stickers are now available on Lowly Gentlemen. The second set of stickers to be released is a pair of classic block stickers. 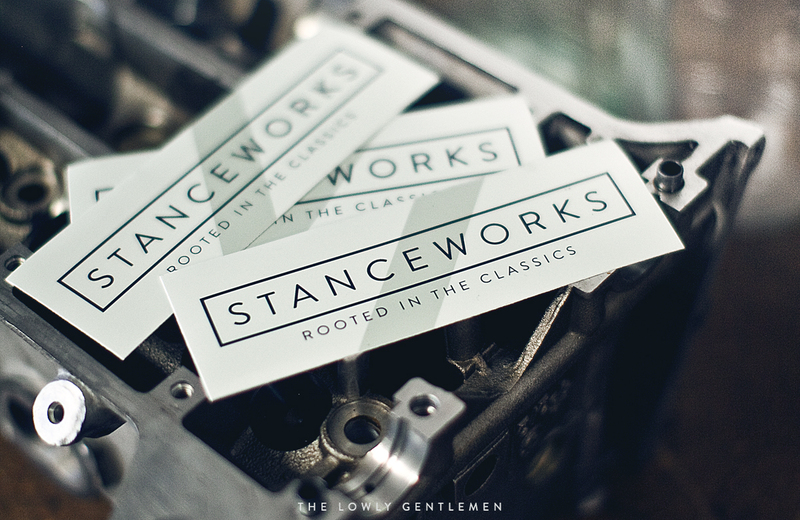 Drawn from the color samples of old car pamphlets, light green hues back the StanceWorks Rooted Stickers and offer a vintage feel that will compliment cars and workshops alike. I couldn’t resist buying a print of Rusty, a real inspiration in the modern car scene. I soo hope there is news on his resurrection soon! It will sit proudly on my wall in my garage next to posters of other cars and photographs of my cars. Cheers!